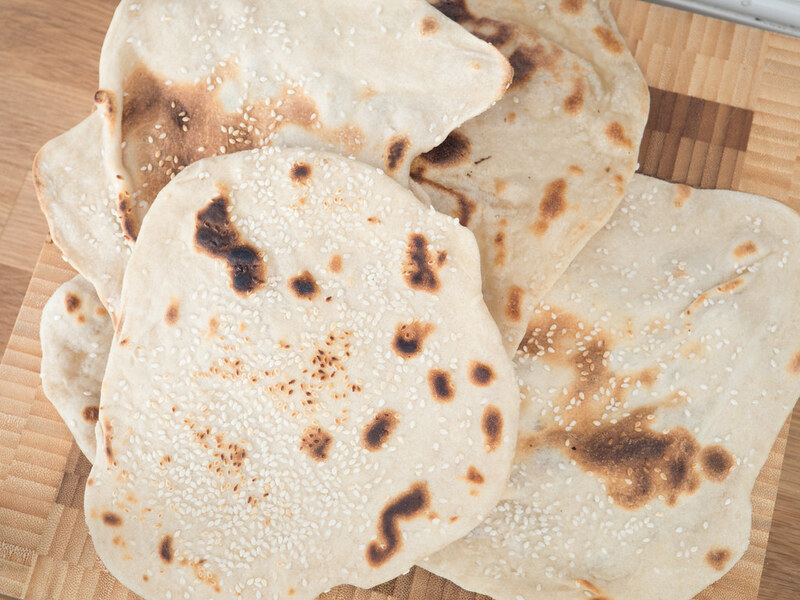 I know, this recipes I am sharing here in the blog post is not a traditional Danish recipe, or Nordic for that matter, but nevertheless this recipe for Naan bread is just super simple and it is a fantastic side dish for a large number of other dishes like most meat, Indian food, pasta dishes or maybe just as a starter with hummus. Instead of serving boring potatoes chips or salted nuts. 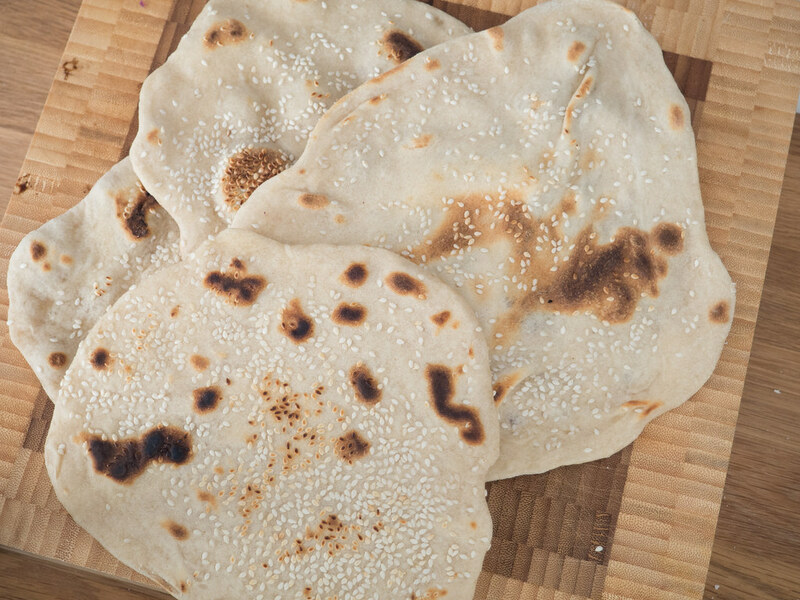 Personally, I like to serve a stack of freshly baked Naan bread together with a freshly prepared hummus as a standing snack or starter when I am having guests over. It is a great way of serving something homemade for you guests while you are in the kitchen finishing the main course. 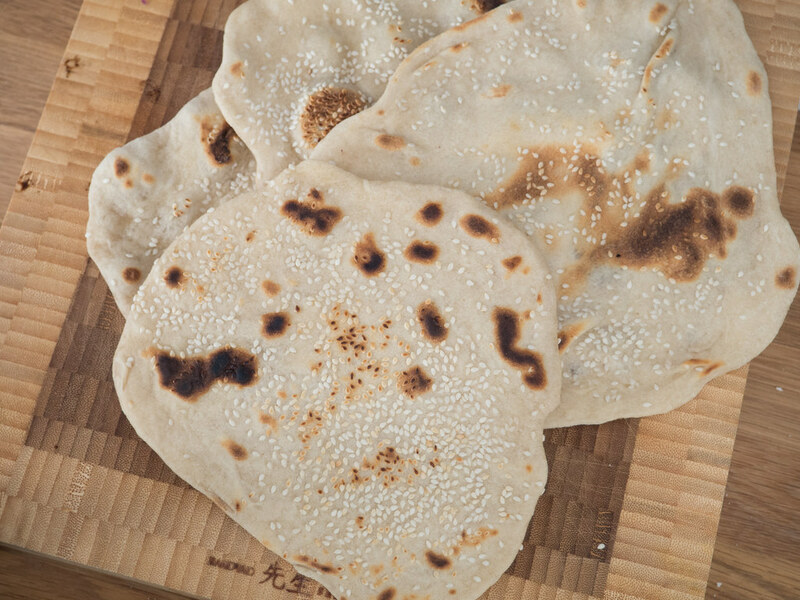 As mentioned, it is easy to make a batch of homemade and fresh Naan bread. 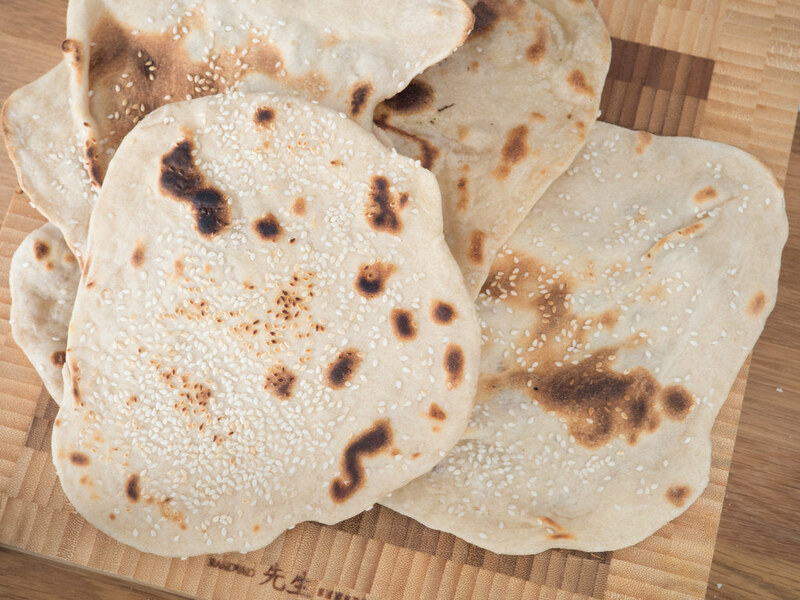 Besides being easy to make, they are not that demanding while cooking them, meaning that you can prepare this bread while making other stuff in the kitchen. 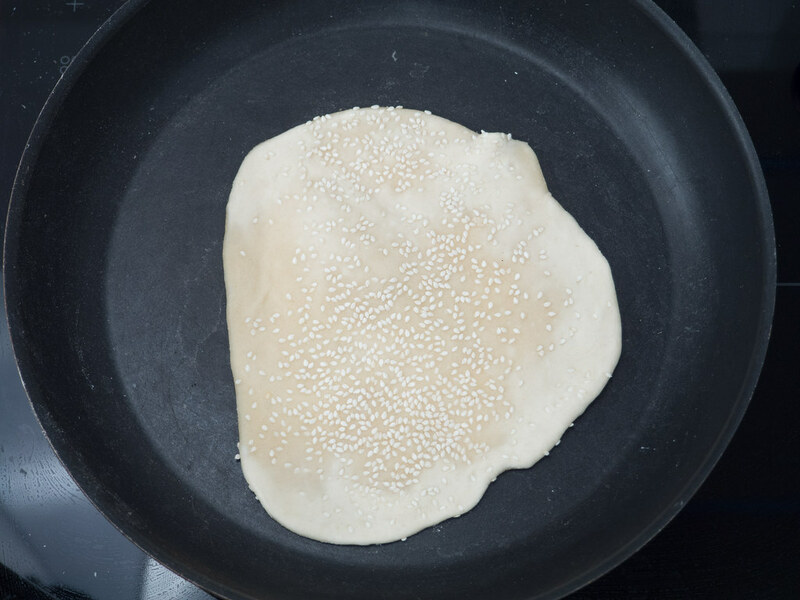 Heat up a frying pan on medium setting; do not add any oil or butter. 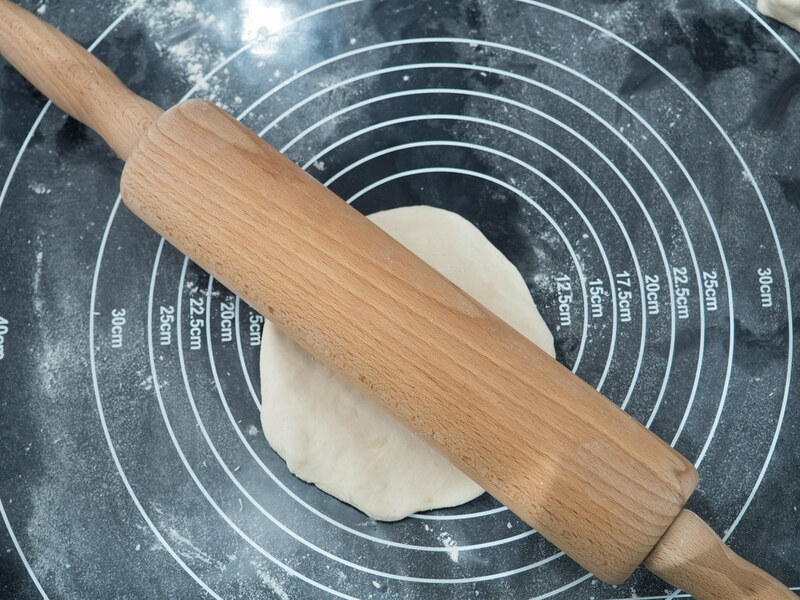 Then you sprinkle or brush one side of the Naan bread with water. 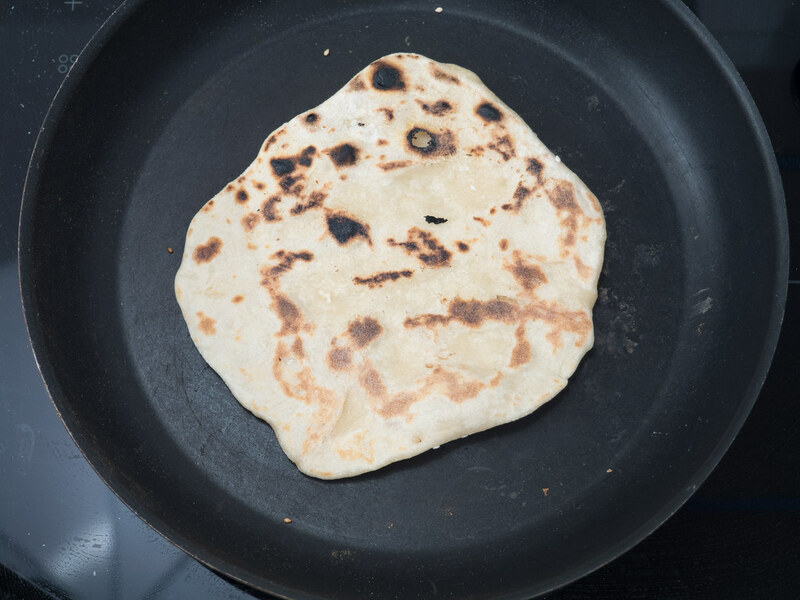 Transfer the Naan bread to the frying pan with the waterside facing down the hot surface of the pan. Fry the bread for a couple of minutes before flipping it over to continue frying for some extra minutes. 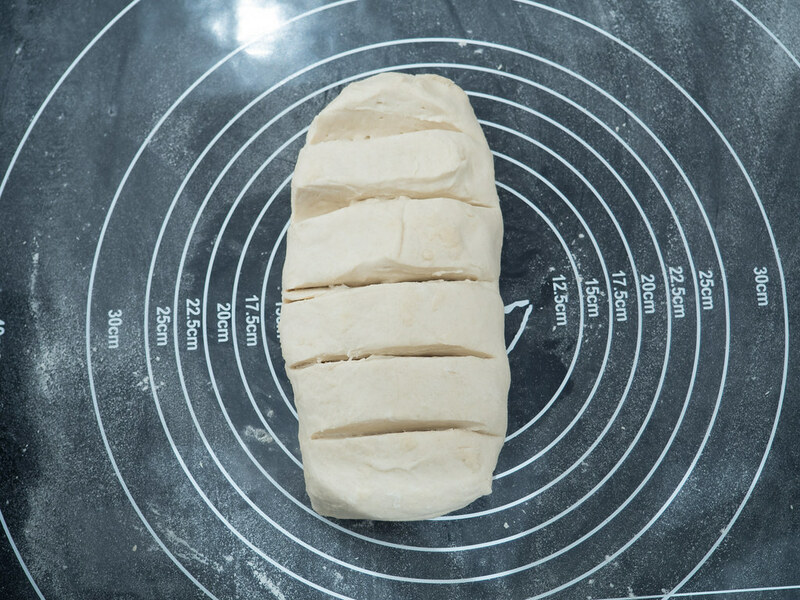 The bread is done when it has crisp parts but is still flexible and soft. 1. 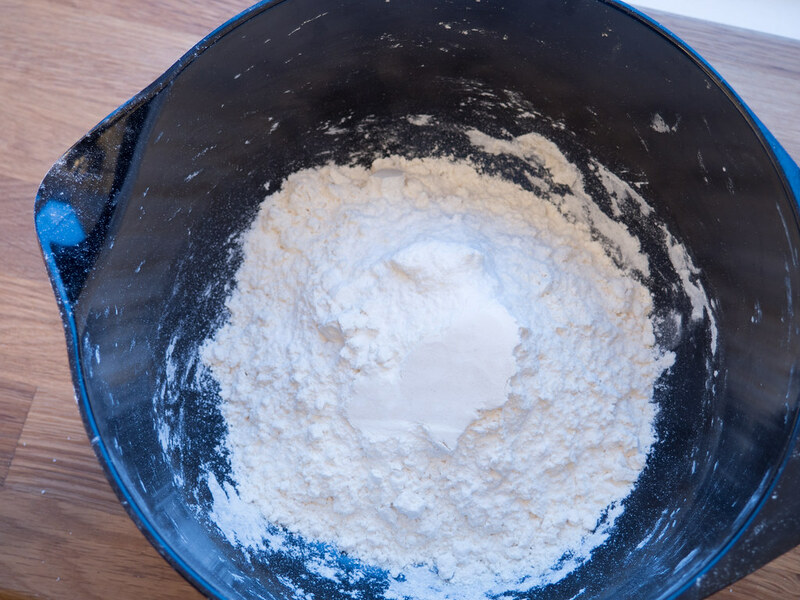 In a bowl; mix the all-purpose flour, salt and baking soda. 3. 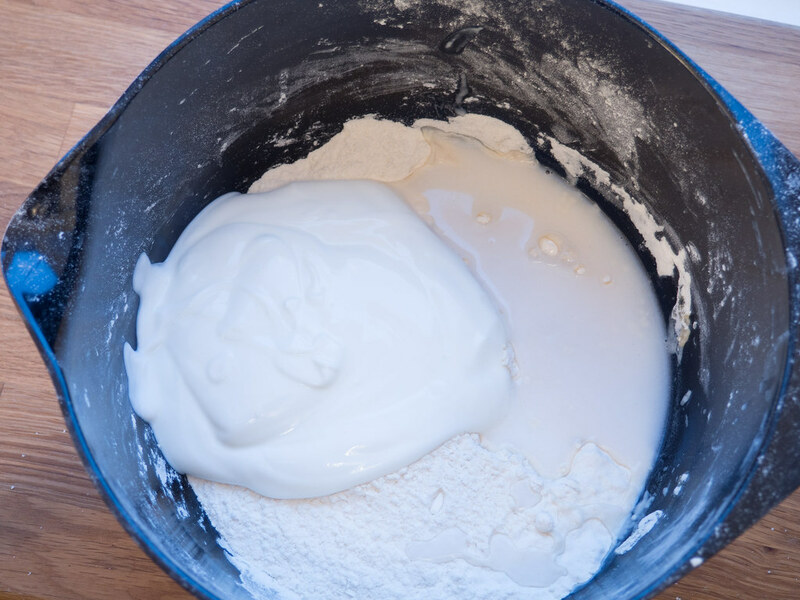 Add the yogurt natural and water and stir to mix into a nice dough. 4. 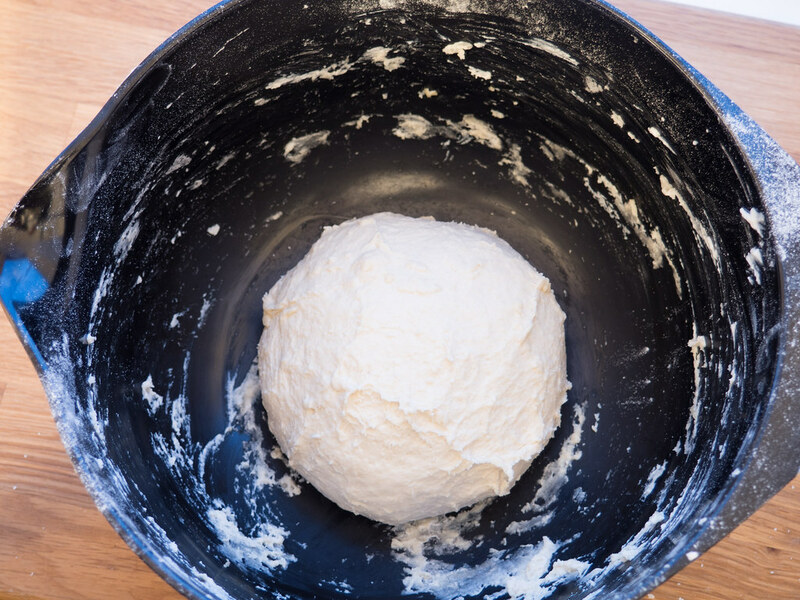 Cover the bowl with a dishtowel and set the dough aside for 20 minute to let it rise. 6. 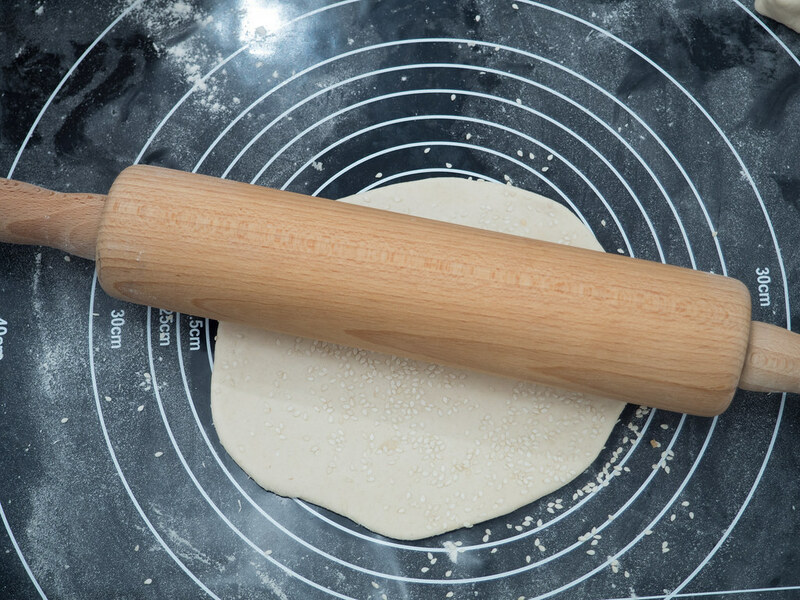 Sprinkle one side of the bread with a little sesam seeds and use the rolling pin to gently roll the sesam into the bread. 7. Heat up a frying pan. 8. 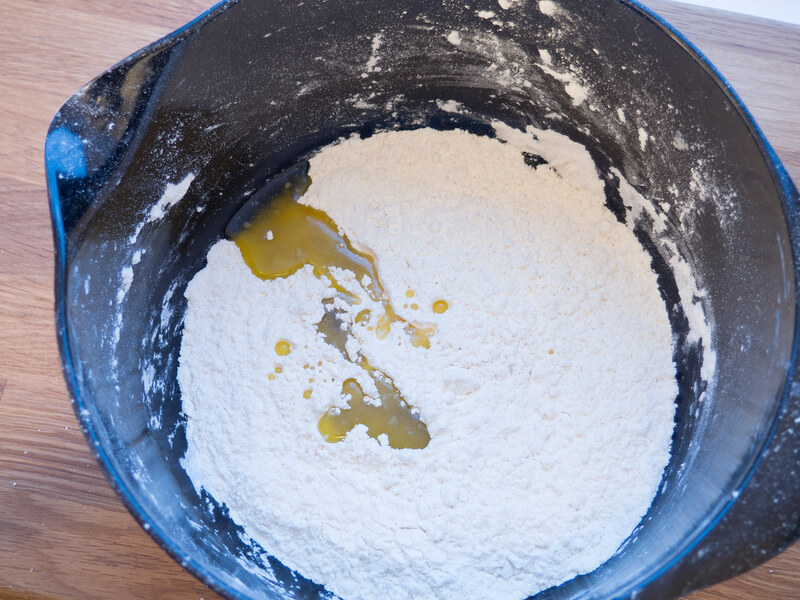 Brush one side of the bread with cold water and place the bread with the waterside facing down the skillet. 9. Fry the bread for a couple of minutes until it gets a nice golden/brown color. Flip the bread over and fry for another 1-2 minutes. Serve the bread with some Indian food or as a snack together with some hummus. 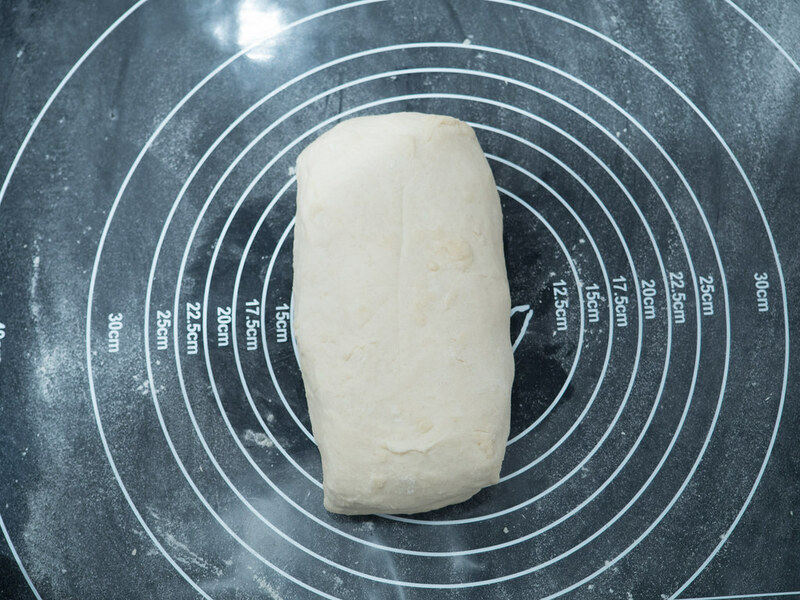 In the recipy for Danish Carrot Buns you forgot to mention the amount of yeast…. Could you add it? I would so much love to make them!